The university is asking legislators for money to expand the Hawaii Promise program to the Manoa, Hilo and West Oahu four-year campuses. 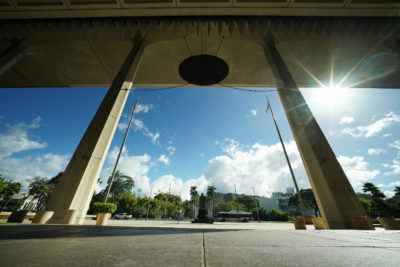 Providing more direct financial support to students will be the highest budget priority for the University of Hawaii heading into the 2019 legislative session. A draft budget proposal from the university includes nearly $40 million over the next two fiscal years to expand the Hawaii Promise program to UH’s four-year campuses at Manoa, Hilo and West Oahu. 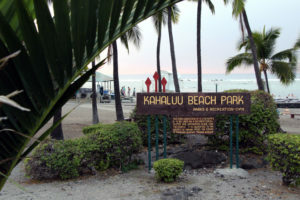 Before the proposal is submitted, it needs approval from the UH Board of Regents. The scholarship program — which covers the unmet financial need of students who have exhausted other scholarship and federal grant money — was piloted last year at the community colleges. 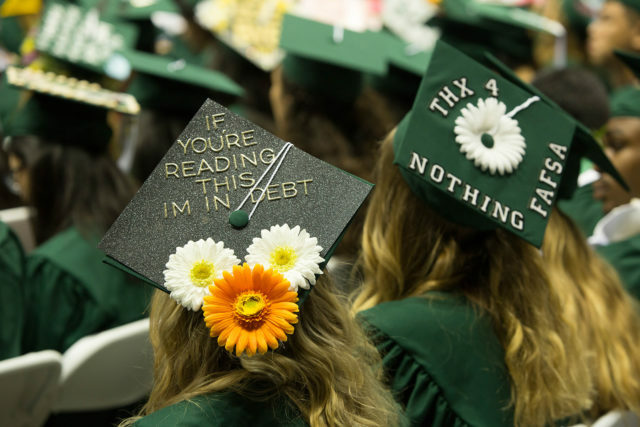 Two graduates at the University of Hawaii Manoa share a message about their financial troubles on their graduation caps last year. 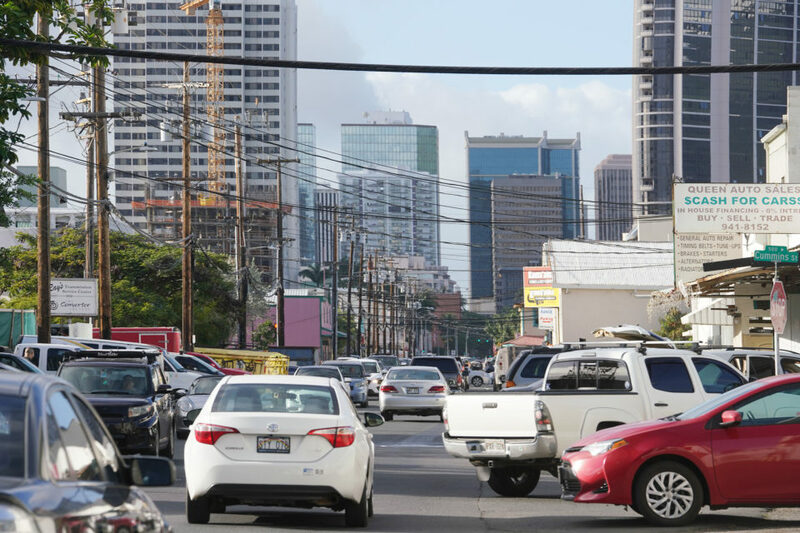 “This is one of the most important things we think can be done to provide assistance to students with financial need to address affordability challenges,” UH President David Lassner told Civil Beat. The amount of money eligible students may be awarded could vary. 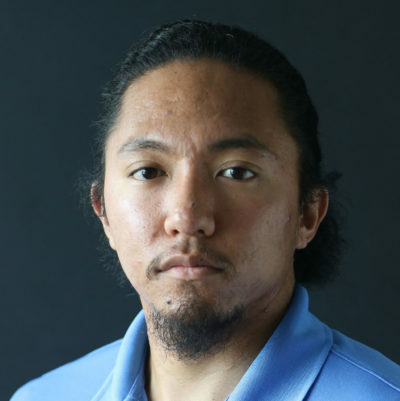 The nearly 1,500 community college students that got money from the pilot program received an average of $1,200 each, according to a UH press release from earlier this year. 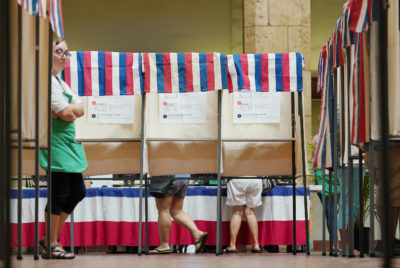 If the funding is approved next legislative session, Hawaii Promise could cover just over 5,000 students at UH’s Manoa, Hilo and West Oahu campuses. 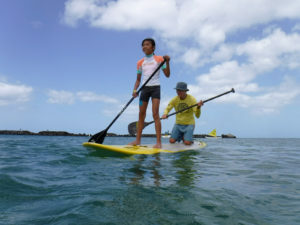 On average, the program could provide about $4,255 for Manoa students and $2,100 for those enrolled at Hilo and West Oahu. The individual amount of aid could range greatly, however, from $100 to $14,000 at UH Manoa. College students who want to receive funds would need to be enrolled in at least six credits and have a GPA of 2.0 or higher. They also need to fill out the Free Application for Federal Student Aid, or FAFSA. Money from the Hawaii Promise program is awarded after a student uses up all other grant and scholarship money. The program is intended to make sure students, and their parents, don’t need to take out any loans to help fund education, Lassner said. “This is focused so that nobody needs to take out loans for tuition and fees, not just at community colleges, but at the four-year universities as well,” he said. The support comes with some caveats, however. Out-of-state and graduate students wouldn’t be eligible for the support. “Our biggest issue is affordability and trying to help students graduate without debt at the undergraduate level,” Lassner said. If the program were to expand in the future to cover graduate programs, Lassner said the university would look to professional fields that the state needs like nursing and teaching. 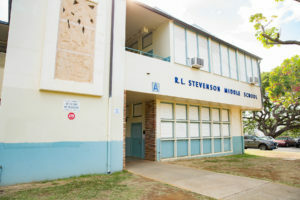 The Hawaii Promise program also does not cover room costs or other expenses outside of tuition, books or fees. Students enrolled full-time at UH’s flagship campus at Manoa will pay about $6,000 in tuition and fees this fall. UH proposes asking the Legislature for $19.7 million annually in fiscal years 2020 and 2021. It still needs to clear two votes by the Board of Regents: one Thursday and the other Nov. 15. Board Chair Lee Putnam said that the regents seemed supportive of the program when it came up in previous discussions. Randy Moore, who chairs the board’s budget committee, seems to agree. 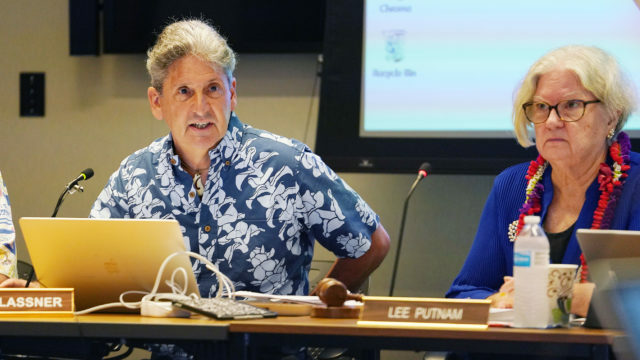 University of Hawaii President David Lassner, left, and Board of Regents Chair Lee Putnam both support helping students cover tuition costs with the Hawaii Promise Program. “The board has long been concerned about the cost of college. 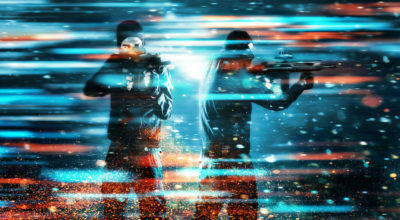 This is certainly one piece of the response to that concern,” he said. Moore said the university could do more in the long term to address financial needs, like offering on-campus work. The budget proposal also includes $9.7 million to open positions for students in mentoring programs, as well as raising stipends for graduate assistants. Legislators appeared willing to fund the Hawaii Promise program in the 2017 session. That year, the Legislature introduced four bills, two in the House and two in the Senate, that would have appropriated money to cover tuition costs for eligible students. 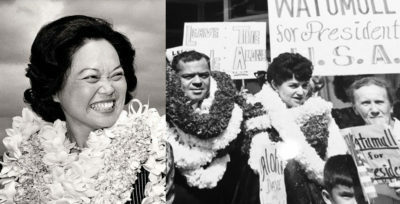 One of the House bills won the support of all 51 members, while one of the companion Senate bills was backed by 20 of Hawaii’s 25 senators. Both of those bills easily passed their respective houses in 2017 but were not given hearings in the 2018 session. 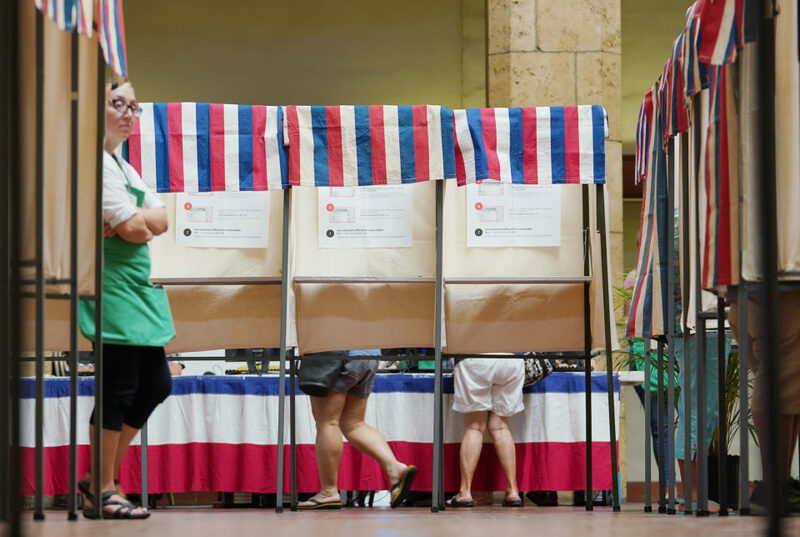 But during the session, the Legislature approved $1.8 million to test the Hawaii Promise program at UH’s community colleges. Gov. David Ige approved an additional $700,000 in June.